That phone call you dread, that something is wrong - no really wrong happened two days ago. My husband's left arm went numb. He didn't feel right. The 18 miles between home and work were never longer. The ambulance came and stuck things on his chest and asked him questions and we decided on which hospital, they felt like Northside had a nicer ER, and they were gone. It wasn't as quick like that but - it felt quick. Like WOOOSH and he was gone. 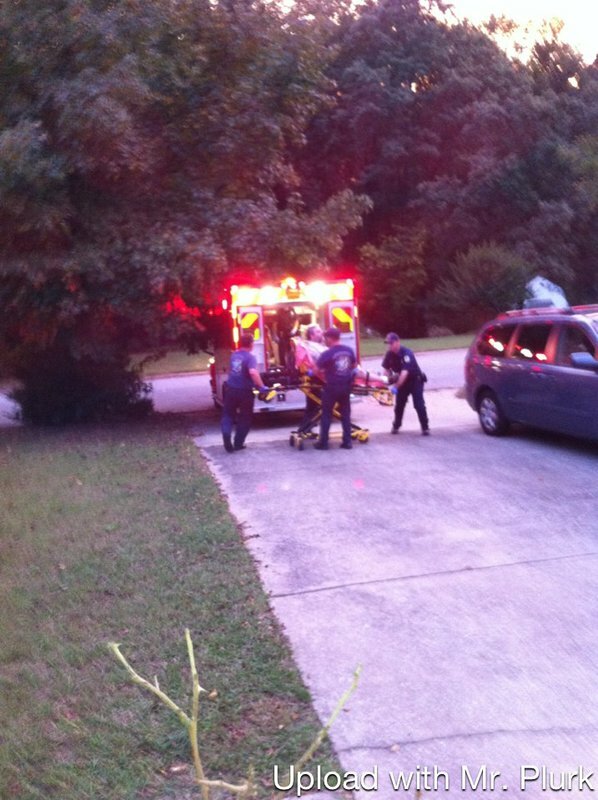 I stood on othe porch watching his face through the window of the ambulance, because I just needed to see him. I spent the evening playing with the little ones while the big boy did his homework. We ordered pizza and got ready for bed. I didn't really know what else to do, I have four little people and so I just trudged on waiting. It turns out his blood pressure was crazy high as was his pulse. They've given him BP medicine and scheduled all the tests for next week. I need him to be ok. Universe, please sort that.